Home » Our Doctors » Jeffrey Yonker, O.D. 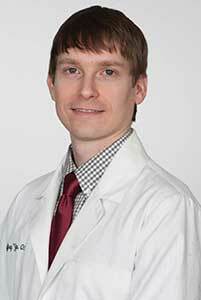 Dr. Jeffrey Yonker grew up in the town of Nederland, TX. Recognizing the significance of the care given by his optometrist, Jeffrey developed an interest in optometry at an early age. In 2005, he received a Bachelor of Arts degree in Biology from Baylor University. He went on to receive his Doctor of Optometry degree from the University of Houston College of Optometry in 2009. He completed his internships with former Texas Optometric Association President Dr. Clarke Newman and Indian Health Services in Oklahoma. A large portion of Dr. Yonker’s studies and training focused on specialty contact lenses and ocular disease. He went on to practice therapeutic optometry in the Dallas area for two years before making the move to Austin in 2011, where has he has been serving the great Austin community for over 2 years. Dr. Yonker is an active member of the Cedar Park Chamber of Commerce, Central Texas Optometric Society, Texas Optometric Association, and the American Optometric Association. He is committed to providing the best quality of care possible to all his patients. Dr. Yonker is looking to become more involved with the Cedar Park and Leander communities. Outside of the office, he enjoys reading, cooking, tennis, and golf.